Posted by on Monday, June 29th, 2015 at 2:13pm. You don’t have to spend a mint to have a beautiful backyard. Consider these budget-friendly ideas to give your outdoor living space a makeover. Refurbish. 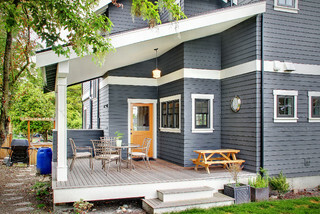 Update your patio and outdoor furniture with paint, stains and sanding. Replace worn or old seat cushions. Buy cheap. Paint inexpensive pottery and planter boxes to match your outdoor aesthetic. Buy your renovation tools in the off-season (fall or winter) for better prices. Buy fillers like mulch, sand, gravel and woodchips in bulk. Repurpose. Use unexpected items to create unique backyard features. Repurpose a chandelier into a birdfeeder. Paint cinder blocks and use them as flower planters. Use rocks or stones to create a natural edging for planter beds. 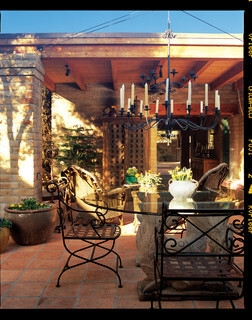 Rustic Patio by Scottsdale Architects & Building Designers Carson Poetzl, Inc.
Use nature. 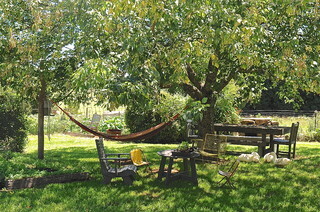 Plant shade trees for cool hangout areas instead of purchasing awnings or fans. Save water by planting succulents. Do it yourself. Outsourcing to professional landscapers and contractors may cost you a fortune. Learn to do renovations yourself and save money. Get friends or family to help if you have big projects. 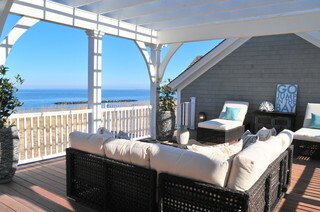 For how-to tips on DIY upgrades, watch videos at http://www.sunset.com or http://www.diynetwork.com/how-to/outdoors/landscaping. Scavenge. Garage sales and construction sites are gold mines for savings. You may walk away with free or deeply discounted renovation material. Visit your local Habitat for Humanity ReStore for gently used building tools and materials. Find the nearest store at http://www.habitat.org/env/restores.aspx. Prioritize. Plan your renovations according to value. Begin with your patio and other permanent projects before making your way to flora and landscaping. Renovations complete and ready to sell? Call us and set up an appointment today!